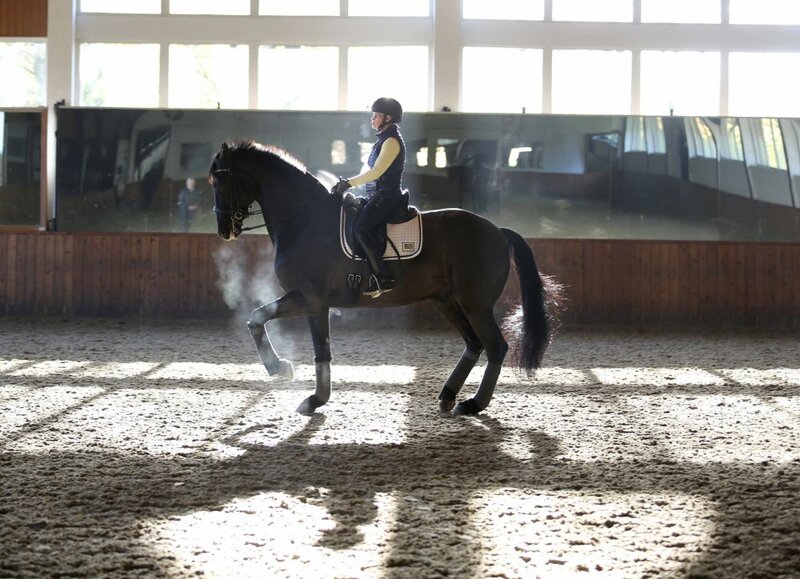 For Bon Ami and new rider Adrienne Pot it has been a great few weeks of training and developing their new partnership. The pair are really finding their balance and flow, and in the next week Bon Ami will head to Florida to begin his new life. Bon Ami has been a member of the Outstanding Stables team for quite some time. 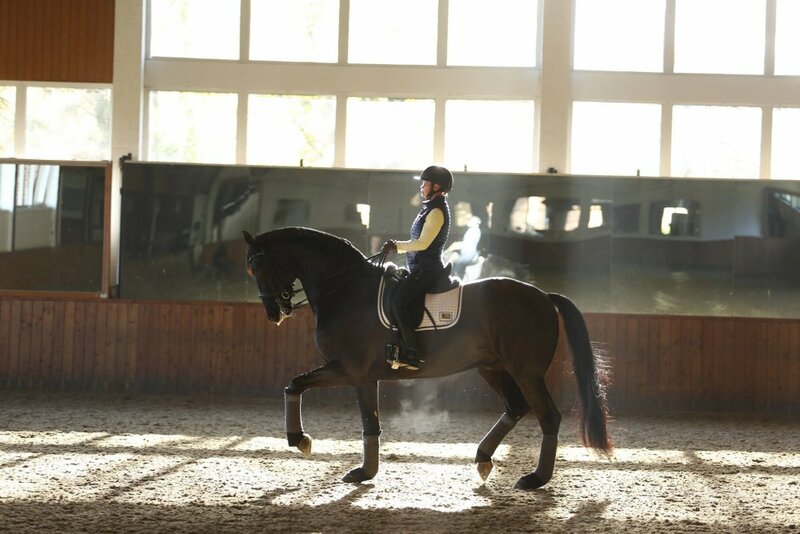 Student Philippa Ral has had the lovely gelding since he was three, and went through the levels together, with a highlight winning the Swedish Championships in team. 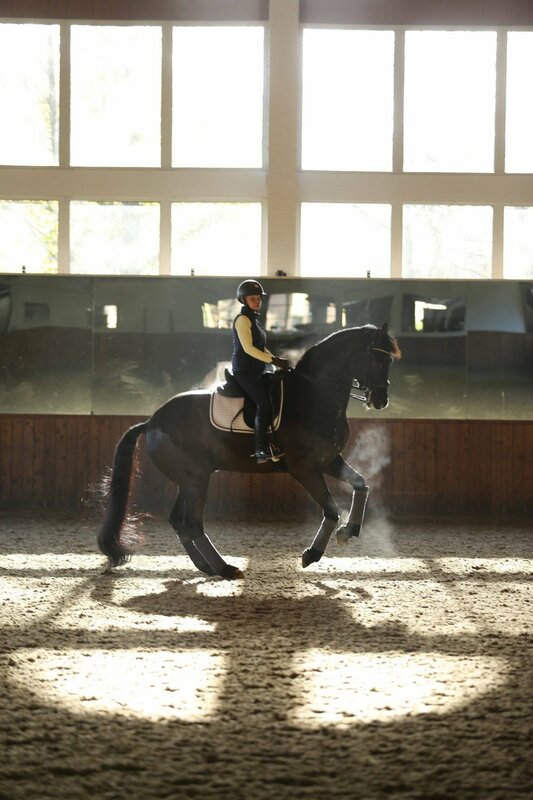 The pair competed successfully up to Small tour, after which stable trainer/rider Malin began with Bon Ami in Grand Prix. The lovely 11 year old quickly found his place at the top of the line up at International level in only his first season at the level, and was soon generating great sales interest. We will all miss this lovely boy, but wish Adrienne and Bon Ami great success and congratulations to new owners Elizabeth and James Bramsen.